Putting together a website involves making a whole lot of decisions. There’s design, functionality, content and more that needs to be chosen, and oftentimes making the best decisions there involves consulting with someone who’s more knowledgeable than you are with Internet marketing. One of the later decisions you’ll need to make – but one that is no less important – is what type of web hosting service will you need. That web hosting is a necessity for your website goes without saying (your site requires it to be accessible on the Web), but understand that most Canadian web hosting service providers will offer a number of different web hosting packages at different price points. All of them coming, however, after you answer some very basic questions – what type of website do you have, what type of purpose(s) will it be serving (and how), and what type of incoming visitor volume do you expect to see for it? So what are they, and how do they differ? Shared website hosting in Canada is ideal for small businesses, individual sites, sites that have low traffic volume, and sites that need to be launched as soon as possible. And a big part of why it’s ideal for many people is – quite simply – it’s the most affordable option and you can often secure shared Canadian web hosting for less than $25 a month. Shared hosting works by the service provider having any number of large, expansive servers where data is stored. With a shared hosting package, you – and many others like you – get a portion of this expansive space. It’s not unlike renting a room in a hotel, you’ve got your own little spot – and so does the fellow next to you. This option also has a genuine user-friendly appeal, as shared hosting users will typically have their own control panel dashboard where they themselves can make changes to their site and / or its functionality. You can set up email addresses, add users, view site statistics, install software like WordPress or Drupal, and more. As far as drawbacks, the 2 primary ones would be loading delays for users if the website begins to experience spikes in visitors, and also limited control in regards to supported languages and restricted changes to server configurations. The second part of that can be problematic for custom-coded sites. CMS-specific web hosting in Canada is best suited for small business sites built with a supported CMS, the most common of these definitely being WordPress. If your site relies heavily on content – and regularly updated content – having a WordPress-based website is preferable, and you’ll get better performance for it by choosing web hosting that’s designed for it. Your site will load more quickly, images and other media that is incorporated into your text will load and show more quickly for visitors, and overall they’ll have a better and more visually-engaging and / or user friendly experience while visiting your website. The primary downside of CMS-specific managed hosting is – as with shared hosting – you have limited control and may very well struggle to find or be able to use any tools that are not provided via your web host. Private is the key word in Virtual Private Server, as in it’s yours and yours alone! Naturally this makes VPS hosting in Canada the most expensive option of the three here, but if you have a large website or one that offers a SAAS (software-as-a-service), downloadable applications, or is simply a high-volume site, then VPS hosting is very likely the way you’ll want to go. Think of it as giving your website as much ‘breathing room’ as it needs to run at peak performance no matter what types of strenuous demands are being put on it. You can rest much easier knowing your website will be functioning just as intended, even when large numbers of visitors are on the site! In addition, you’ve also got the highest level of control and access with VPS hosting, and that’s a real plus for complex websites that are always being re-evaluated for performance and other considerations. You will typically have command-line access to the server, which allows you to install any processes you may need, and this type of hosting also offers extensive scalability. The servers can usually be spun up and down as needed. Keep in mind though that VPS hosting puts real demands on the Webmaster. Configuring and optimizing your servers – and being aware of when and how often that needs to be done – can be a very time-consuming and intimidating task for those who are not familiar with the ins and outs of website analytics. To put it generally, VPS web hosting packages are often very high-maintenance and as such they’re best value when in the hands of an experienced and technologically savvy Webmaster. 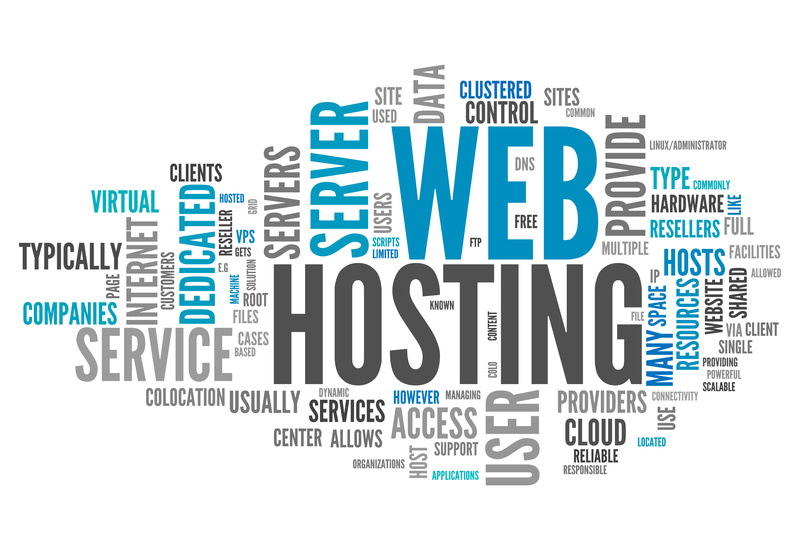 Be very inquiring when working with clients in determining their web hosting needs and referring them to a service provider. Start with their objectives, site design, and where they see themselves AND their online identity being in a few years time. After that, the questions will typically be very specific given the type of client and the nature of their business or venture. There will always be a number of service providers who’ll meet their needs and offer competitive pricing on their web hosting packages, but – again – you want to look for one that has a track record for reliable web hosting to go along with those fair prices. 4goodhosting.com is one such Canadian web hosting provider who can offer right-fit hosting packages for nearly any business or individual and back them with some of the most failsafe web hosting to be found anywhere, from Victoria all the way to Halifax. 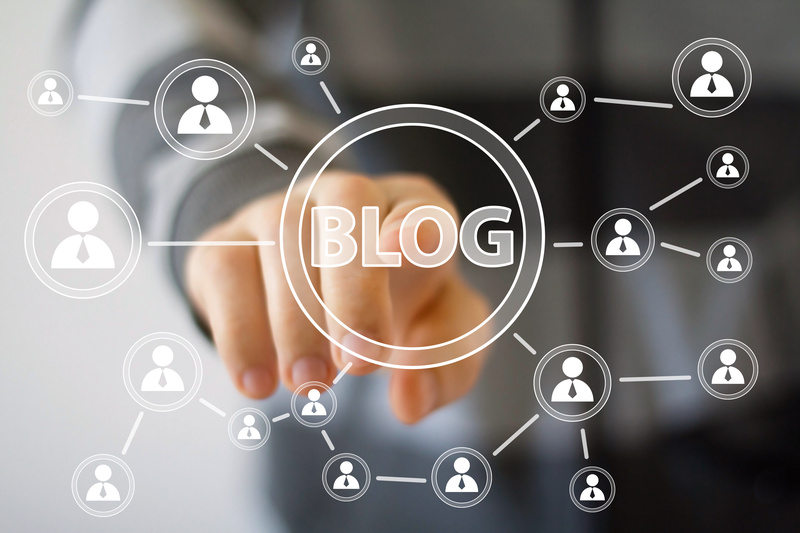 The word ‘blog’ is a term that’s a condensed version of ‘web log’, and these days they’re incredibly popular as a means for people to express themselves and share their interests, expertise, or perspective on what’s new in life or what’s happening in the world. You can start by understanding this – setting up a blog isn’t difficult at all, and if you’ve got quality content (writing) and some snappy images to go along with them then it’s equally easy to have people visit your blog regularly. Here’s a few tips and guidelines so that you can get off on the right foot and avoid making the kinds of mistakes that are common for newbie bloggers. Any spot that’s located on the World Wide Web will need its own domain and web hosting, so the first thing you’ll need to do for a blog is to register your domain and get yourself an affordable web hosting package. Once you’ve done that, you need to familiarize yourself with a piece of content management software. WordPress is one of the most popular for the fact that it’s really simple to use and most folks can get the hang of it in a day or two. Download it and start installing the plugins and themes you’ll be using. 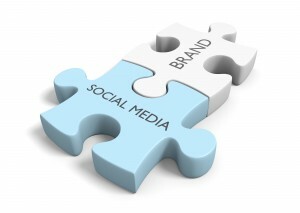 Now to your content – What do you have to say, and why is it worthwhile sharing it with readers on the web? Maybe you’d like to promote a hobby of yours that you think would be super enjoyable for others to get into to. Maybe you’re a huge sports fan and you want to share your perspective on the big league and its players. Maybe you’ve got an idea that you think can become profitable if you build up the right readership and then attract advertisers. It’s highly unlikely you’re the first one that’s thought of publishing what it is you’ve got in mind. That doesn’t mean that you can’t be successful with it. Find your niche within that subject matter and you’ll be able to distinguish yourself, and doing so is definitely important. Find a few blogs that are on the same subject, and have a look at the way the blogger writes and organizes the information and layout. Do you like it? Good, take notes of their approach and then think of ways you can incorporate that style into your blog. But once you start writing, try to bend it here and there and add different touches. And you’ll need to write often if you want to have a quality blog that keeps readers coming back, so you’ll have plenty of practice at this. This is simple enough to understand, so let’s use and example. Let’s say you want to blog on standup paddle boarding. They’ll likely be more than a few blogs on SUP out there that talk about techniques, gear etc etc. You should talk about those aspects too, but how about attaching a GoPro to the front of your paddle board and add a new segment each week about what it’s like to paddle board at “Echo Lake”, for example. It’ll engage readers more, and it’ll give you a reason to go paddle boarding somewhere new each week. This is just an example, but surely you get the idea. Now that we’ve got you on the right path for writing your blog, we need to get back to the set-up of it. As mentioned, you’ll need a domain and web hosting. 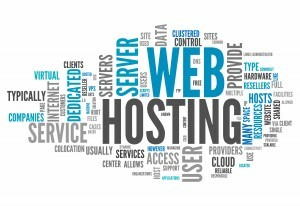 Think web hosting is expensive? Think again, it’s absolutely NOT expensive at all and you should be able to find personal web hosting in Canada for less than $30 for a whole year, and many providers offer free blog website domain registration as part of their package. Make sure you go with one that’s very reliable, has a guarantee on uptime at least 99+% of the time and – as mentioned – has fair prices. 4GoodHosting is one of Canada’s best web hosting providers, and you’ll be able to check off all these boxes with them. Choose a domain that’s easy to remember, not too long, and is a good indicator of what your blog is all about. You can then register it for free with 4GoodHosting and enjoy the affordability and convenience of their personal Canadian web hosting service that’s currently just $2.95 a month! Talk about affordable, and from there you can focus on the enjoyable part of it all – writing your blog and publishing new content regularly! 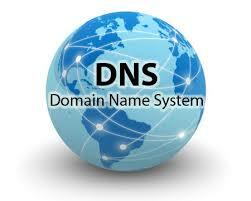 DNS is an acronym that stands for “domain name system”. Without domain names, we wouldn’t have a way of getting to particular a website, such as numbers like 292.14.78.251, or worse the new ipv6 numbers that are much longer, too long in fact to provide an example here. In this article we will give an overview of how D.N.S functions. The most important thing, that our web hosting customers can learn from this, is the process of how DNS records are changed, or updated to your web host’s “name servers” address’. These are important domain names which also rely on the DNS system to be converted into your webserver’s numerical IP-address. Name servers enable people to use their domain name in order to access your webserver; which then in turn directs your site visitors to your specific web hosting account and files, rather than a complex IP address. DNS also makes economical “shared hosting” possible, since the server’s IP address can be reused for dozens of different websites. Your name servers are the most important detail of your domain record, again their purpose is to redirect a visitor’s web browser to the place, that is web-server on a rack in a data-room someplace, where your site is being hosted. Modifying your domain name server(s) enables you to change your web host without having to transfer your domain to another registrar. Name servers can also be referred to as DNS servers; which can create confusion due to the two synonymous terms. DNS refers to the layer of the internet stack, very similar to a database application, that contains the domain names, name servers, IP address’ and personal or company registration information encapsulating every public site on the Internet. DNS records contain various types of data, syntax, and commands for how a webserver should respond to lookup requests. · “A”-record. The actual webserver IP address that is associated with the domain. · “CNAME”-record. CNAME indicates sub-domains that can be associated with your domain. · “MX”-record. This refers to specific mail servers that might be optionally used in accordance with your domain, such as using gmail with your domain for email. · “NS”-record. The nameservers that are currently set for your domain. · “SOA”-record. Information about your domain, like when your domain was last updated and relevant contact information. · “TXT”-record. Text about any additional information about the domain. As you can see, there are numerous components of your DNS records, but most of this information can’t and shouldn’t be altered. The main component of your DNS records that will be of concern to you, if you ever have to change, is your name servers. Registrars are responsible for allowing you to edit your DNS record name severs. The default usually automatically assigns same host and registrar upon registration. Domain transfers usually carry over using the same name server information as from the previous registrar. However, if your domain is not registered and also hosted in the same place, then you’ll follow the general steps below to update the name servers. Every registrar has domain management tools which allow you to edit your name servers. This ability will usually be found on the domain management area your client account/portal. You will need to change both the “primary” and “secondary” name server. The second server exists in the rare even that the first one crashes, or some other condition that prevents it from being resourced. Simply change your existing name servers to the new name servers and click “Update” or “Save”. These changes don’t take place immediately across the entire internet. Domain name server updates usually take anywhere from 4-24 hours to ‘propagate’ throughout the global DNS internet system. With this information, you are able to understand some key functionality of how the internet logically works. If you have any remaining questions concerning your domains or domain records, please contact us at support @ 4goodhosting.com for a rapid response to your inquiries. Please contact us at one of the very best Canadian Web Hosting Companies, 4GoodHosting.